But RUSADA's reinstatement, after nearly a three-year suspension, now clears the country to again bid for major international events — although soccer's World Cup was held there this summer despite that restriction. It also clears a major hurdle for Russia's track team to be declared compliant by that sport's international governing body (IAAF) — one of the few to take a strong, consistent stand against the doping — though IAAF released a statement saying there were other milestones still unmet and its next update isn't due until December. "I'm profoundly disappointed," Scott said to Canadian broadcaster CBC after the decision. "I feel this was an opportunity for WADA, and they have dealt a devastating blow to clean sport. I'm quite dismayed." Ben Hawes, chairman of the British Olympic Association's Athletes' Commission, said: "It is clear the process of the removal of these sanctions whilst key criteria has yet to be fulfilled has angered the athlete community." U.S. Olympic Committee chairman Larry Probst said "suggesting that Russia has lived-up to its obligations is disingenuous, and today's decision to reinstate RUSADA flies in the face of WADA's responsibility to clean athletes everywhere." The two biggest roadblocks to RUSADA's reinstatement (and still pending in the eyes of IAAF regarding the track team) involved the country accepting findings from a report by investigator Richard McLaren that concluded the government had engineered the doping scandal to win medals at the Sochi Olympics. It also involved Russia agreeing to hand over a trove of data and samples that could be used to corroborate potential doping violations that stemmed from the cheating. 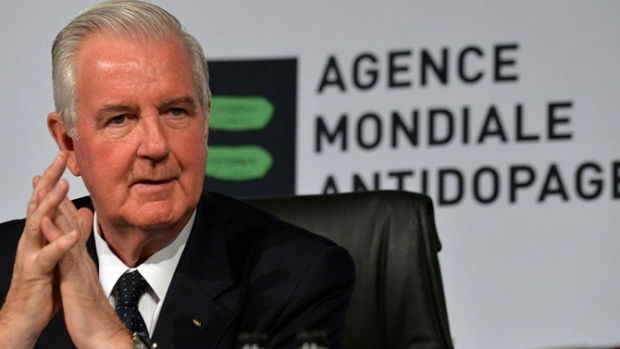 "Without this pragmatic approach, we would continue with the impasse and the laboratory data could have remained out of our reach indefinitely," WADA president Craig Reedie said after Thursday's executive committee meeting in Seychelles.